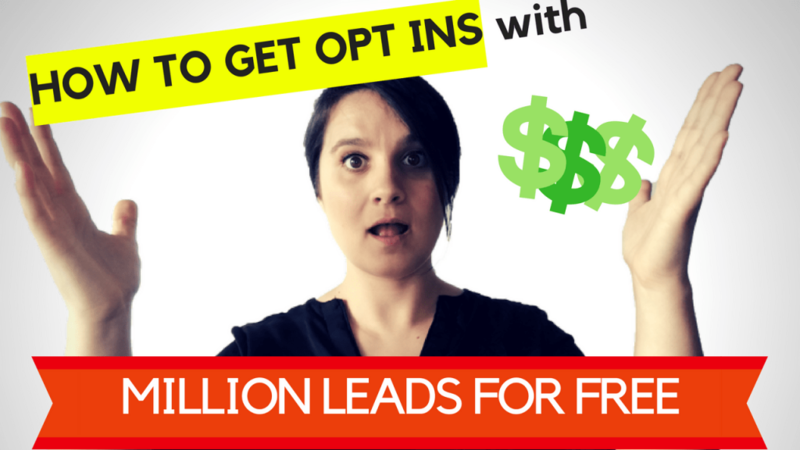 If you’re already a member and you’ve been trying to figure out how to get opt ins with million leads for free, this video is video/article is for you. It took me close to 1 year to finally figure out this simple trick to get people to click on your headline and opt in on your page. Using this technique I have managed to gain 1-3 high quality leads every single day – with NO money spent. What is Million Leads For Free? 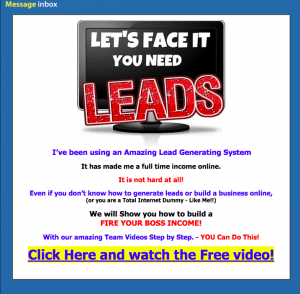 Million Leads for Free is a marketing platform. It’s a space where online entrepreneurs can post their offers or advertisements at no cost, to a limited amount of people each day. There are paid upgrades such as auto-posting, posting to more people than what’s included in the free option, solo ads, re-directs, etc. In the free version, they ask you to click on and read 10 ads per day to unlock 5000 leads to post to each day. When you post, your message appears in a global inbox that is read online, through the website, rather than through your email address inbox. When someone clicks on your headline, they then see your advertisement or message. Some may argue that the platform does not work because no one is truly interested in reading what your message contains, but rather clicks your message simply to gain access to their daily leads. My outlook was similar when I first started using the platform, until I realized the POTENTIAL of advertising the RIGHT WAY on this platform. In addition to the above, all Million Leads members are double-opted in as “interested in business opportunities”. So the question remains, how to get opt ins with million leads for free? Subject Line: STOP STRUGGLING TO GET LEADS & SALES! This is the stuff Million Leads is made of —- THIS is how to get opt ins with million leads for free. Grab my free HTML templates here to start building awesome inbox messages for yourself.